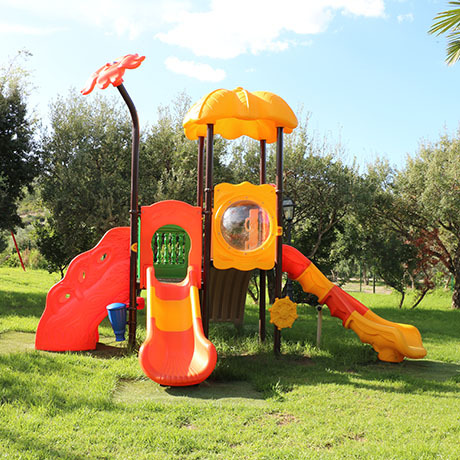 Hotel Il Castello is located in Sarrabus, just outside the village of Villaputzu, right at the foot of the picturesque ruins of Castello di Quirra, on highway S.S. 125, at 78 Km coming from Cagliari. Located in a flat area, equipped with every comfort, restaurant, swimming pool, gym, mini park for children, private parking open and covered, Hotel 'Il Castello', easily reachable either from the international airports of Cagliari, Alghero and Olbia or from the small airport of Arbatax, is a privileged destination for those who arrive by sea at ports of Cagliari, Arbatax, Olbia, Golfo Aranci and Porto Torres. 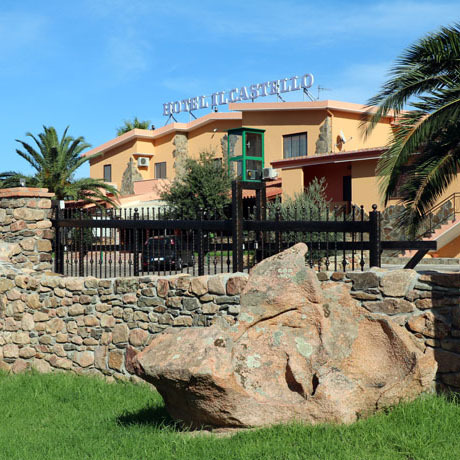 Immersed in unspoilt nature, a stone's throw from the church of San Nicola, built entirely in brick, the 3 stars hotel has 16 rooms, combined with the typical environment of south Sardinia, surrounded by the hills of one of the greenest areas of the island and at very little distance from the sea, which is just 1,800 meters. In a few minutes, can also reach the tourist port of Porto Corallo and countries Villaputzu Muravera and San Vito. For the beaches you'll be spoiled for choice. Just 3 km away from the hotel, you can choose even the huge white sandy spot of Murtas, or make a quick trip to Porto Tramatzu. But it's not all. Nearby there are many other small and comfortable bays with crystal clear sea. 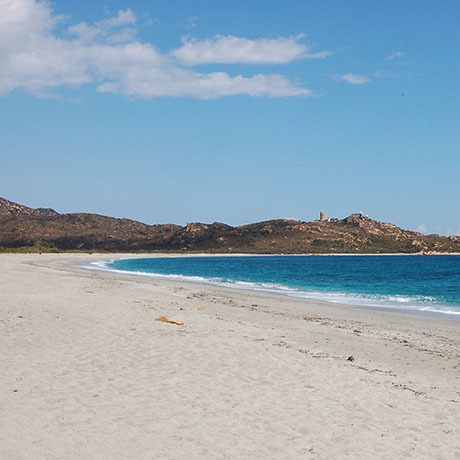 Besides, 20 Km away from here you can reach many other shoreline, and just other 20 Km are necessary to visit the renowned beaches of south Sardinia, such as Costa Rei, Villasimius and Castiadas. A special wine cellar made from an early 1800’s bakery oven for lime preparation. Nowadays its ancient walls host our most beautiful selection of national and foreign wines.